Before we can build a complete handset or dumbphone product based on our FreeCalypso solution, we first need to design and build a handset UI development board. 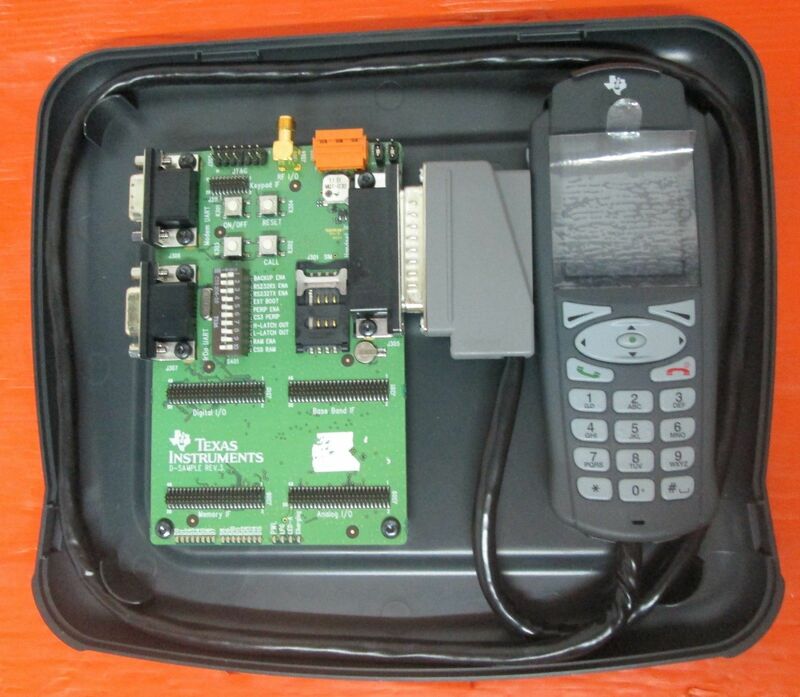 We have a copy of TI's demo/prototype UI implementation for complete phones (as opposed to AT-command-controlled modems), but no hardware platform on which we can properly exercise and further develop this code. TI's demo/prototype UI targets the 176x220 pixel color LCD on their D-Sample platform; the Mother has managed to get her hands on one of these historical D-Sample development kits, but we are not able to actually do anything with it: the D-Sample has Clara RF, whereas we only have L1 code for Rita RF. And even if we found a copy of the missing tpudrv10.c RF driver module, it still would not solve the problem that the Mother's D-Sample kit exists only in singular quantity. Furthermore, there is some evidence that the LCD module in our D-Sample kit may be defective in a way that cannot be worked around, although we are not able to tell for sure because we don't have any schematics for the D-Sample. The Mother's desired solution is to build our own UI development board (UIDB) that would also serve as a Handset Motherboard Prototype (HSMBP). It would have the same Calypso core chipset as our current FCDEV3B, plus a new 176x220 pixel color LCD of our own (same size as on the D-Sample, which is one of the industry standard sizes), a keypad with 21 main buttons and 3 side buttons like on the D-Sample and on the Pirelli DP-L10, and the rest of the peripherals for a standard handset motherboard. It would be laid out as close as possible to a real handset motherboard product, but with all off-board components including the battery attached via connectors, so that the HSMBP can be used bare on a lab bench without a plastic case to hold everything together. Once we build our HSMBP aka UIDB and use it to whip our phone UI firmware into shape, we will be able to bifurcate into two directions from that point: as one branch, we'll be able to produce an aftermarket firmware build for Motorola C139 phones that provides practically usable untethered phone functionality, and as the other branch, we could put together some kind of plastic case around our HSMBP and turn it into an actual handset which we could then carry in our pockets and purses. Unlike my other idea of producing an embedded modem module in SMT form factor, the present idea of designing and building a handset UI development board is something which I am willing to work on with my own money — but not right now. More specifically, I will only be able to start working on this HSMBP project after my big and expensive surgery, and not before. I need about 26 kUSD for a very necessary surgery (GCS), and the only way I can afford that enormous cost on my own is to stop all of my discretionary spending and to save every otherwise spare dollar toward the surgery cost, which will take two years or more. If anyone out there would like to see FreeCalypso progress greatly sped up, here is my offer: if anyone donates 26 kUSD to cover the cost of my surgery, I will immediately start working on this HSMBP project; I will be working on it in the months leading up to the scheduled surgery date, in my hotel room in Thailand as I recover from the surgery, and when I come back home to California post-op. If you are interested and able to help this project, please email Mother Mychaela.